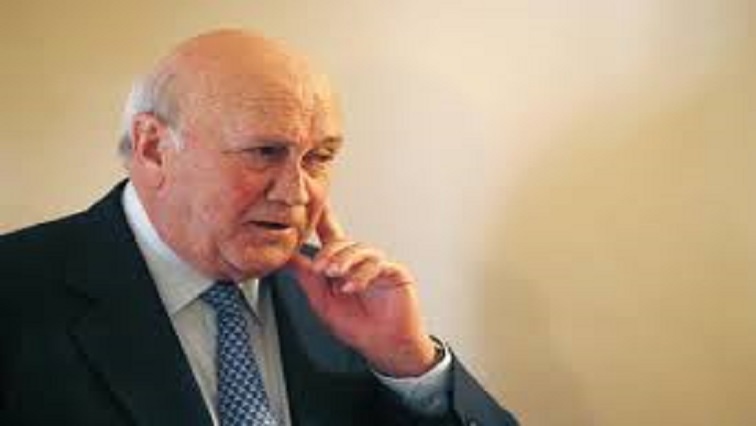 De Klerk denies receiving benefits from Bosasa - SABC News - Breaking news, special reports, world, business, sport coverage of all South African current events. Africa's news leader. FW de Klerk says he only recently learnt about the existence of the Bosasa and that he has had no dealings with them. Former President FW de Klerk has denied receiving any benefits from logistics company Bosasa. De Klerk says he only recently learnt about the existence of the company and that he has had no dealings with them. This follows a list that has been distributed on social media containing De Klerk’s name among many others as beneficiaries. Former Bosasa COO Angelo Agrizzi is currently testifying before the Zondo Commission into State Capture outlining the levels of corruption the company was involved in. “The first time I heared about Bosasa was fairly recently. I don’t know of any dealings or any contact between me and Bosasa, whatsoever. So, I don’t have the faintest idea where this comes from and I’m awaiting information in that regard,” says De Klerk. This entry was posted on 23 Jan 2019,06:11PM at 6:11 PM and is filed under Politics, Homepage Featured Story Slider. You can follow any responses to this entry through the RSS 2.0 feed. Both comments and pings are currently closed.